Hello, my name is Adrian Chambers and I deal with Court of Protection matters. Have you ever considered what would happen to your home and savings if you struggled or became physically or mentally incapable of looking after your personal and financial affairs? The Court of Protection was set up to protect and manage the affairs of those who do not have the capacity to manger their affairs themselves. The person appointed by the Court is known as a Deputy and is often a family member. Often when a close family member loses capacity it is not until their home has to be sold or the bank refuses to allow you access their account or asks you to provide a Lasting Power of Attorney that you will need to apply to be appointed as a Deputy and should seek legal advice. The first call is often to a solicitor who is experienced in dealing with Court of Protection procedures and can advise and guide you through the long and complex process. The solicitor experienced in dealing with the Court of Protection can help guide you through these complex procedures and advise you as to what your role and responsibilities will be. When there is no immediate family or perhaps a dispute within the family, then the Court of Protection will approve a solicitor to act as the Deputy. This will normally be a Panel Deputy approved by the Court. The Deputy will be responsible for managing all the financial affairs of the patient (the person who has lost capacity) and paying all of their expenses. The solicitor concerned will be responsible for submitting full and detailed accounts to the Court of Protection for their approval every year and their costs in doing so will also need to be approved by the Court. It is distressing to realise that a close family member has lost capacity and that since the introduction of the Mental Capacity Act 2005 the law gives protection to the person who has lost capacity and the only solution will be to take legal advice from an experienced solicitor. 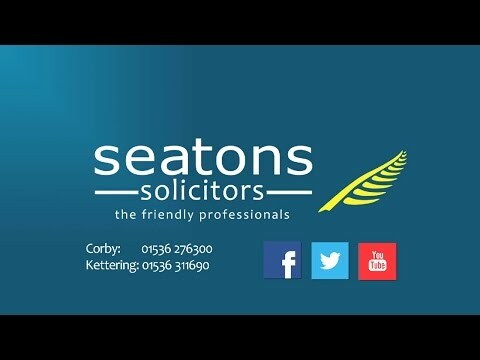 If you have any queries at all in regard to the role of a solicitor in dealing with the Court of Protection or indeed wish advice in respect of a family member or close friend then please telephone Susan Sorrie on 01536 276300 or email sues@seatons.co.uk for more information.